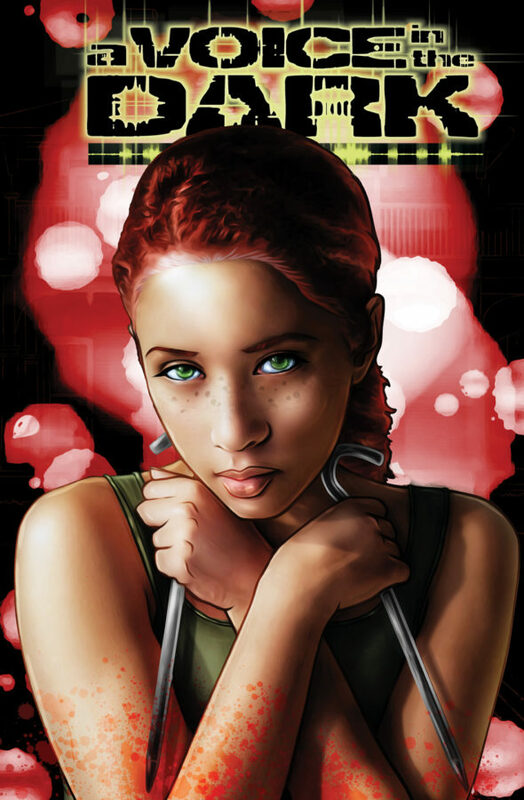 Larime Taylor is the creator of A Voice In The Dark (Top Cow/Image), a series that Mathew Meylikhov of Multiversity comics said could be “one of the most interesting comics published in 2013.” Born with arthrogryposis, Larime is a mouth artist; he writes, draws, tones, and letters his books with his mouth. This month, Larime sat down with Jay Savage to talk about his life and work. IM: When did you first decide that you wanted to make a career out of creating your own comics? LT: Being disabled, all I really have as far as useful skills are my art and my storytelling, so I may as well use them to make a living. It was a pragmatic decision. IM: Who has had the biggest influence on you outside the comics industry and how did they affect your life? LT: Family and friends. My wife. The people who are there for me every day and encourage me to keep going. IM: Who has had the biggest influence on your comics career and how has that person changed your work? LT: Terry Moore and Gail Simone have both been big supporters, helping to promote the book and spread the word. Terry wrote the introduction to the first trade. IM: What do you do to recharge your creative batteries? LT: I work whether I’m feeling ‘inspired’ or not. It’s a job. Professionals meet deadlines. IM: Describe your typical work routine. LT: I plot out story arcs in outlines, then write the scripts. Being my own artist, my panel descriptions are very simple. I get more specific with things when I do my reference shoots. That’s where I decide exactly what I want for each panel and I shoot the photos the way I want the comic to be. Then I do page layouts with all the photos. I actually have an entire issue shot and laid out as photos before I start drawing. Sometimes, I’ll even letter the pages off of the photo versions, then drop the art in after it’s drawn. What I do to start is (obviously) write the script, get the edits, work that all out. Because, all of my life, I’ve not been able to model myself, you know; I can’t use my own hands to see how a hand would look doing this, or what your arm does when you bend it this way. I draw with a pen in my mouth, so I can’t look up at something, then down at the paper as I’m drawing at the same time. Now that I have a digital tablet screen that I draw directly on, I’m able to photo-reference. IM: What tools do you use to create comics and what makes them the “right tools” for you? LT: I draw on a tablet screen with the stylus in my mouth. I’ve been drawing with my mouth since I was four years old, but drawing digitally has really freed me. Because I can zoom in and out, rotate images, and move them around, I’m no longer restricted by the limited reach and range of my neck, or by the fact that I draw smoother lines horizontally than I do vertically. I’m not having to deal with the fact that, with my nose a few inches from the art, I lose perspective and proportion. I can zoom out and keep things balanced. I can lasso something and move it, shrink it, or make it bigger. IM: What element of your work gives you the most personal satisfaction? LT: Meeting fans at signings and conventions. Hearing that my work is reaching people, that it’s made an impact. That’s the best part. IM: We’ve all met very talented newcomers who are trying to get their first professional projects. What’s the best advice you’ve ever heard given to a promising new creator? LT: Treat your art like it’s your day job, even if you already have one. Make it the most important thing. IM: Time to get philosophical. What’s the most important “big idea” that you’ve learned in life—in or out of comics— and why is it important? LT: Don’t take no for an answer. Get back up and try again. IM: Tell us more about A Voice In The Dark. LT: It initially started as a horror spoof, where I planned on taking various tropes and flipping them upside down. Along the way, I realized that I had an actual story and compelling characters and so, things went in a more serious direction. I still have some of the camp on the surface, but it’s there as a contrast to the more gritty, serious nature of things. It’s essentially a coming-of-age story with a twist: she’s a serial killer. Zoey’s relatable, I think, because she’s going through things that all of us have: growing up, moving away from home, trying to figure out who she is and what she wants to do with her life. Beneath that, though, she has these urges she’s struggling to control. She’s afraid that she’s a monster. It adds new levels to it all. That’s the core of the story: figuring out who and what she is and how to live with it. 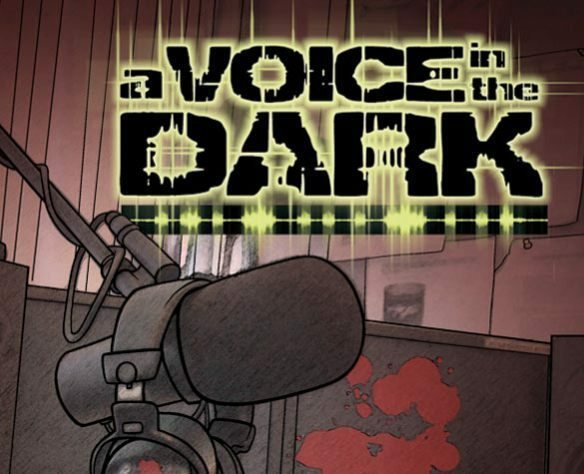 IM: A Voice In The Dark is published by Image Comics and, more specifically, Top Cow Productions. How did this come to be? LT: By using the Kickstarter trade I made as my submission. I pitched in person to Matt Hawkins at WonderCon, and he told me up front that they don’t take creator-owned books, but let me give my pitch, anyway, since I was there—and he was intrigued. As we talked, he kept finding reasons to make an exception and take it anyway. I could see him talking himself into it despite what he said up front. IM: Thank you, Larime, for taking the time to talk with us! This entry was posted in 81 and tagged Jay Savage, Larime Taylor, Top Cow on February 20, 2015 by aipman1.